I want to tell you that i love your hair... Your smile... Your eyes... Your face... Your kindness...Your care... 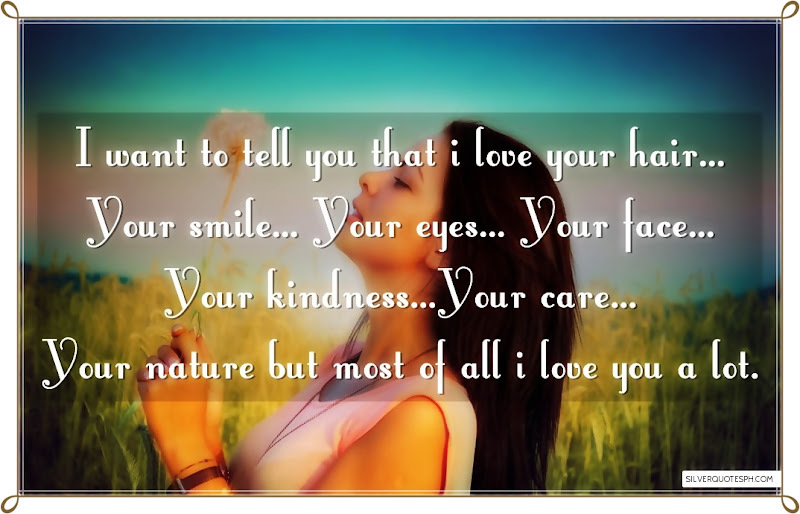 Your nature but most of all i love you a lot.